The lows of 2013 have quickly been replaced by highs in 2014 for fighter Maureen ‘Baby Face’ Riordon. After injuries kept her on the shelf and fights fell through, prospects for her career reaching the heights she hoped for were dimming. “Literally the same week I had surgery, they announced there were tryouts for women in my weight-class for The Ultimate Fighter and I locked myself in my room and cried,” Riordon said, talking about the Ultimate Fighting Championship’s (UFC) reality program that ends with fighters receiving contracts. But setbacks like that are in the past and Riordon made her own headlines in March with the announcement that she had not only signed a contract with national MMA organization Resurrection Fighting Alliance (RFA) but had also signed one to make her professional fighting debut in a kickboxing match for the internationally known ‘Glory’ promotion, which is set to make its Denver debut at the 1st Bank Center on May 3 with GLORY 16. Riordon sees the opportunities before her and intends to grasp them tightly. “It’s a great chance not just for me, but for the community. Women’s MMA is a growing sport and the last year has been incredible. Things like this, things like fighting for RFA and for GLORY, all of that is an opportunity for me to show what I can do, but also for all of us to bring attention to Denver and Colorado and bring in organizations like this,” Riordon said. While RFA is well known in the state, fans may be unclear just how large the news is regarding GLORY coming to town. The ‘16’ show will be broadcast on SPIKE TV and will be their immediate follow-up to a show in Istanbul. Billed as the world’s premier kickboxing league, the organization’s decision to come to Denver brings in a great deal of attention, revenue and pride to the state. All of this Riordon is well aware and eager to justify through her performance, but she gets downright giddy when talking about the venue. “Of course fighting at the 1st Bank Center is a dream come true. I can’t even put into words what fighting there, in my pro debut, means. There are no words to be able to be there with my family, friends and fans, to see me on that stage. No words. I would have to draw a picture,” Riordon said with a laugh. Riordon intends to make 2014 the best year of her fighting career and with the opportunities laid before her the sky seems to be the limit. To purchase tickets for GLORY 16, May 3 at The 1st Bank Center in Broomfield, go to www.altitudetickets.com. the unique nature of the project, with little in the way of comparative work existing. 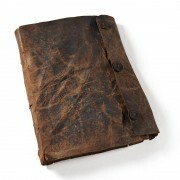 Western Europe and one of only a handful of extant original early medieval Western book covers. 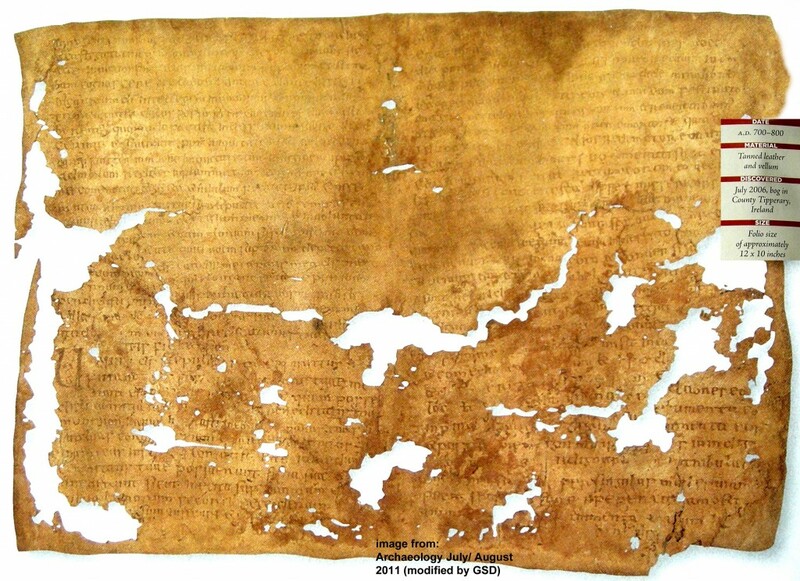 monastic life in early medieval Ireland. Word came down the final week of March that fan favorite MMA fighter, Boston’s own Jason ‘The Dragon’ Lee (6-4), would be returning to the cage in Colorado once more. 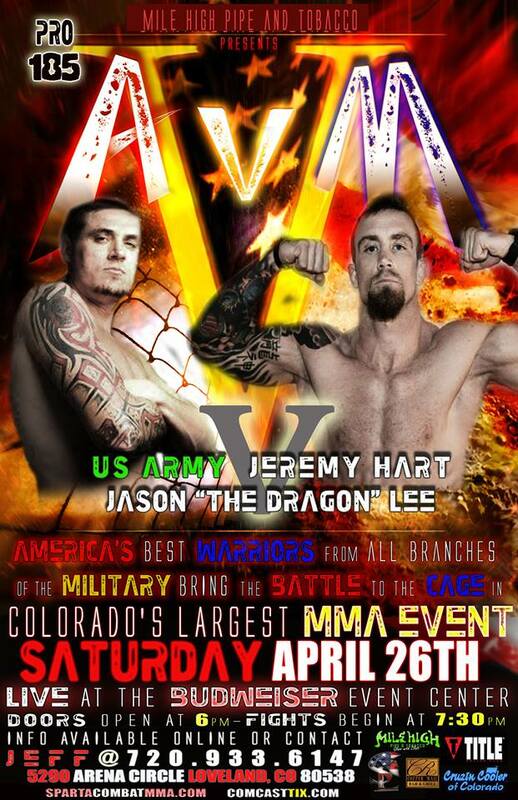 This time he’ll be facing Jeremy Hart (8-3) at Sparta Combat League’s ARMY VS MARINES V event on April 26. Lee, coming off a win in late 2013, is ready to put on a show at the Budweiser Event Center in Loveland. “I’m very excited to tap into a new promotion and possible a couple of new fans in Northern Colorado,” Lee said. He’s up against a very seasoned and talented fighter in Hart. “From what I’ve seen of Jeremy’s fights, he’s got a lot of heart. We all know I’m born of that fabric,” Lee said. This fight card is special in that it utilizes as many servicemen as possible on it and promoter Jeff Cisneros gives away 3000 tickets to military members to enjoy the show and while Lee appreciates all the men and women of the armed services do, that doesn’t stop him from getting in a good natured verbal shot at Hart. “I believe Jeremy was in the Army at one point and while I appreciate his service, I was raised in a Marine Corps family and well, since I was born, let’s just say I’ve known the difference. Semper Fi, do or die!” Lee exclaimed. Lee has been on the shelf since late 2013 due to a fight falling through and now he’s ready to breakout in 2014. “St. Paddy’s has just passed and boy am I ready to shine in spring time. 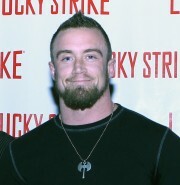 New life, new blood and I’m promising one hell of a banger on April 26, well…as long as Jeremy’s chin will hold up,” Lee said. To buy tickets, go to www.comcasttix.com . 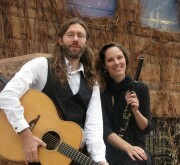 On Friday, April 25th at Swallow Hill, Folk Ragoût will be performing and collaborating with Lights Along the Shore, the brilliant trio of UW professors Rod Garnett (flutes), Blake McGee (clarinets), and Lisa Rickard (piano). 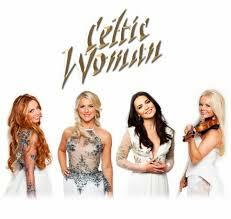 The evening will include Folk Ragoût playing and singing French and Irish music, and Lights Along the Shore will play a great Moldovan/Romanian set. We’ll also combine for some Irish-French-Romanian-Moldovan madness. Lights Along the Shore is known for their extraordinary virtuosity, musicality, and creativity and they rarely come to Colorado, so don’t miss them! 303-777-1003. The Irish call those that have emigrated from the country with the affectionate term ‘wild geese’ and bird imagery has often been used within the world of ballet. 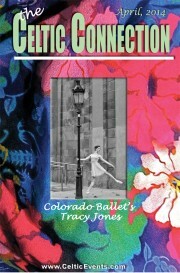 With Ireland-born Colorado Ballet star Tracy Jones, the two fit perfectly together. For Jones, who was born in Cork, dancing has been with her seemingly forever. At age five her mother, a dancer growing up herself, enrolled her in ballet classes. A love was born and soon she was ready for the next step. 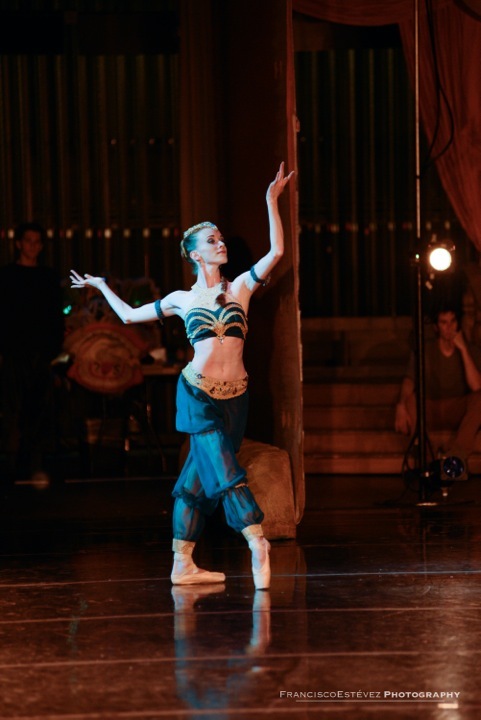 “It wasn’t until I was 11 and I auditioned for a spot at The Royal Ballet School that I realized I wanted to really focus on classical ballet,” Jones said. 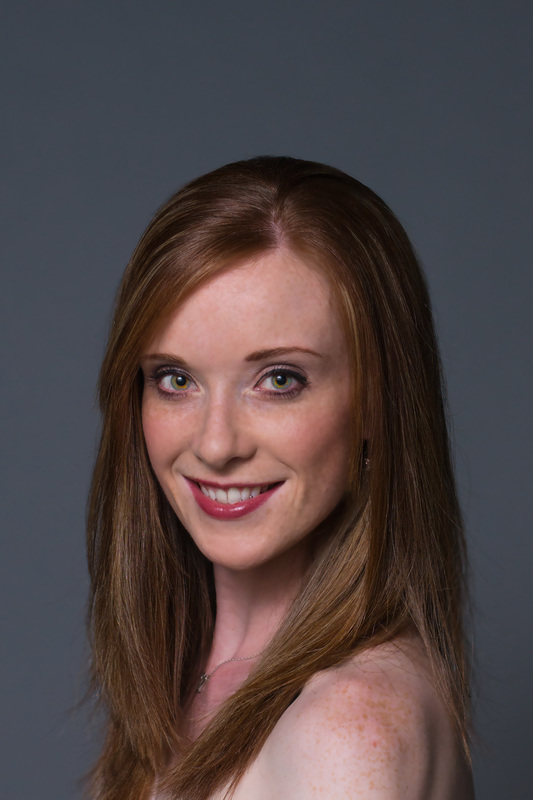 That early investment and keen focus has earned her a spot within one of the most prestigious ballet troupes in America and while she’s enjoying her time in Colorado, she admits she wishes for a chance to be reminded of home a bit more by connecting with our Celtic community. “I would very much like to become more involved with the Irish community and meet fellow countrymen. I do always smile though when I see an Irish bumper sticker on cars around town or hear an Irish accent when I am out and about,” Jones said. But free time for someone so dedicated is limited, especially when attempting to keep up with not only the demands of her craft, but a love for it and desire to see it respected. “I believe that dance and the arts are not only important, but a necessary part of any community. Colorado Ballet has very talented dancers from all over the world and the level of the company in my opinion is world class. In most cosmopolitan cities and especially in Europe, any great metropolis will have a great ballet company. Denver has this by being home to Colorado Ballet, but I think that we have to help our community recognize this,” Jones said. If the Colorado Ballet keeps up its high level of professionalism, the community will have no choice but to follow. Currently it is closing out its very successful 2013-2014 season. “It has been really fantastic,” Jones said about the season, before detailing her accomplishments within it, which included performing in; a pas de deux (a tango piece choreographed by ballet mistress Lorita Travagli), Giselle, The Nutcracker, Cinderella and finally in the Ballet Director’s Choice where she will be featured in The Last Beat. Through rigorous performance seasons, surgeries and even continental changes of location, Jones knows just what keeps her dancing. “Being on stage. Although we put in a lot more hours into being in the rehearsal studio and keeping our bodies in shape and healthy, it is all worth it when we get to the theatre. Having the opportunity to share this art form with an audience is such a privilege and for me, there is no other feeling like it,” Jones said. As for Ireland, her love of it is a feeling unlike any other as well. “I believe that where you come from is always very important and for me, although I haven’t lived there in a long time, Ireland will always have a very special place in my heart,” Jones said. While that place may be large, Jones makes it clear she could not be happier where she is. When asked if there has ever been a moment she just stops and thinks about her dreams coming true, she replies without hesitation. “Honestly, I tend to feel like this most of the time when I am on stage,” Jones said. The art of ballet can be both mesmerizing and intimidating to those beholding it. But behind the hours of practice, years of study, decades of dedication and centuries of history, lay the stories of the performers that make up the pageantry of this art. Tracy Jones, born of Ireland, resident of Denver, is one of those stories and the Colorado Celtic community is fortunate to have the chance to be a small part of her story. If you wish to follow and support Tracy Jones, she stresses her desire that everyone come and see the Colorado Ballet perform. However to follow her directly you can find her on Twitter @tracyannejones, on her website www.tracyjones.weebly.com, or follow her business of ballet skirt creation at www.tulipsbytracy.com. 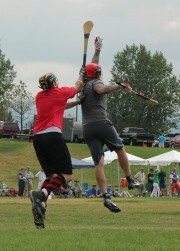 Denver Gaels ramp up for GAA season! As the weather warms and the ground thaws, the Gaels have plenty of events going on. The Hurling Pub League ramps up to high gear as players shake off the last of the rust and start chasing the Cup in a big way. They’ll also ramp up our gaelic football training in preparation for the start of Football Pub League in May. Two of Colorado’s fighting Irish community, Jason Clayton (7-4) and Canaan Grigsby (2-1), are set to face off in separate matches this month on the Fight to Win MMA, ‘Animals’ card. Both men are veterans of the local fighting scene and were nominees for the 2013 Celtic ‘Club’ award. 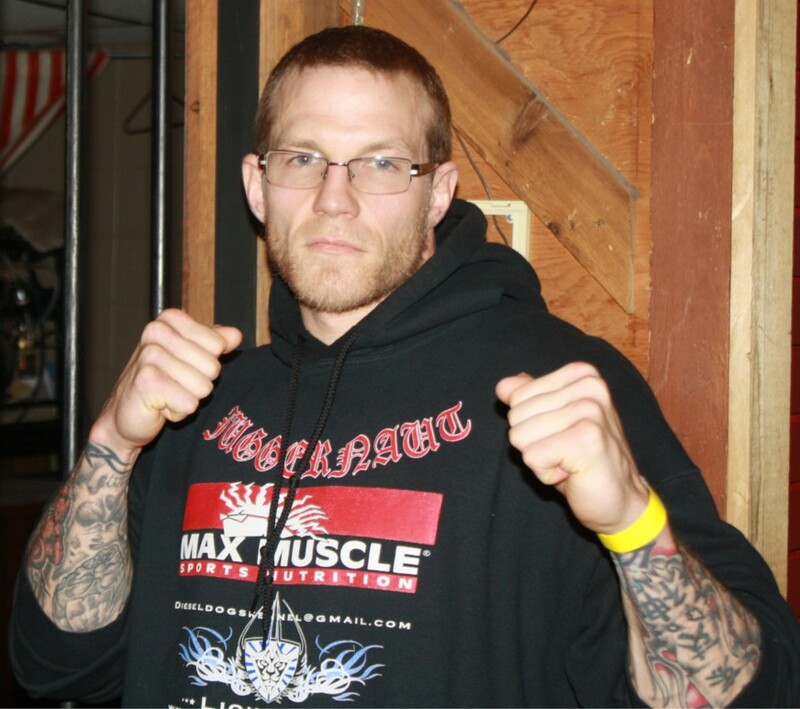 Grand Junction’s Jason Clayton will be facing Cody Mumma (5-1) in the co-main event of the evening. It might be an uphill battle for the Celtic Clayton, who will be looking to rebound from two straight losses. His fight is against a very tough Mumma who has won five straight since losing in 2012. Clayton knows the fight is a tough one, but that’s the only kind he likes. “I want to fight the best fighters every time I step in the cage. It is about testing myself and my discipline. I truly love the competition part of this sport,” Clayton said. He hopes The Celtic Connection readers will turn out to support him in Denver. “I’m mainly Irish and Indian. Both very proud heritages. I just seem to identify more with the Irish side. I genuinely love fighting and it just seems to be a natural part of that heritage. People should come out and watch this fight to show support for all fighters involved. Most importantly to see two great, talented fighters test their skills,” Clayton said. While fight fans are excited about the Clayton/Mumma match, tongues are wagging for the grudge match of the year when Canaan ‘The Super Beast’ Grigsby collides with Jeremiah Talley (1-1). A considerable amount of bad blood exists between the two men and a war of words has gone on stretching back to 2013. Grigsby, a fan favorite firebrand of a fighter, credits his toughness to his heritage. “I’m from hardworking people. My grandparents worked their asses off to make it and give life to our family and that means something to me. My grandmother actually ‘homesteaded’ her property so yeah we are a people of this earth and whether we were born in Ireland like my great grandparents and great-great grandparents, or born right here on this Native-American land, I am honored to carry my last name,” Grigsby said. Two more of Colorado’s Irish-American community are set to display their skills on April 18 at the National Western Complex in Denver. 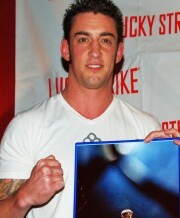 To support these fighters you can purchase tickets through www.fighttowinmma.com. Scheduled 12 Fight card to begin at 7PM. 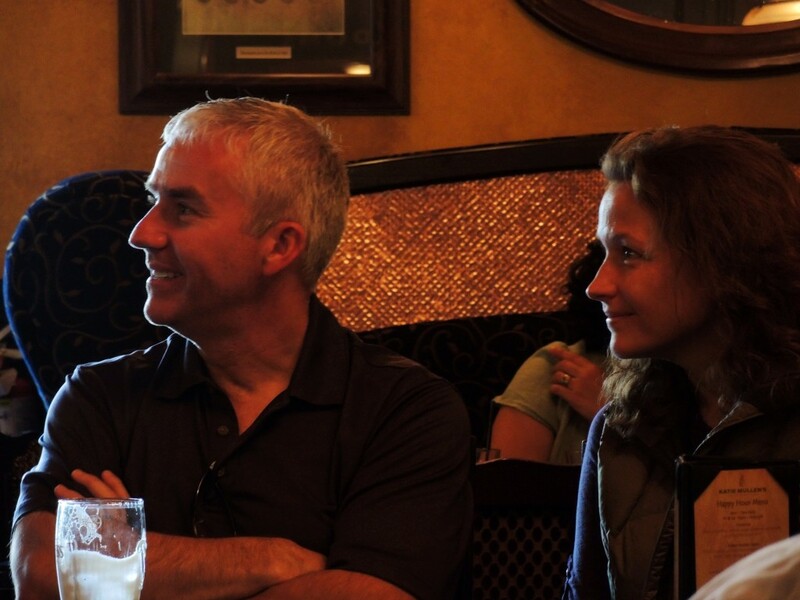 Seamus Blaney and Eleanor Burns at INCO gathering. Included among the participants from around the world are performer, storyteller, writer, Clare Muireann Murphy originally from Ireland, now based in London. 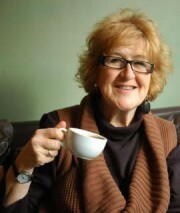 Storyteller Liz Weir from Northern Ireland will be making her 14th appearance to the event! More information and schedules are at www.colorado.edu/cwa.